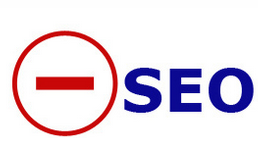 The term "Negative SEO" is becoming very common terminology these days but what exactly is it? What does it entail? That's what I'm going to break down for you today in this blog post. Just like in detective work, the more you understand the mind of a malicious SEO the more you can understand how he wants to attack your site. If you know how he plans to attack you, you can begin to build safety measures to help you mitigate such attacks. Many experts predict that negative SEO will become as common as web hacking. For some odd reason no sane human is capable of comprehending, there are people out there who wish to inflict damaging and malicious harm on your website and more specifically, on your SEO rankings. Why? We will never really understand. But it's important to know that is happening more and more and you've got to be prepared for it! Most people assume that Negative SEO is simply link building related. But it's much more than that. 4 Most Common Types of Negative SEO. Negative SEOs will spend a few bucks on Fiverr.com and purchase gigs that drive thousands of bad links to your domain or even specific webpage. They'll use services like Scrapebox or Xrumer to make this happen. You'll want to use the Google Disavow Tool to try and keep these cleaned up. Negative SEOs have dozens of popular scripts at their disposal that they can use to automatically re-publish your content across hundreds of other domains in seconds. This duplicate content effect can be extremely damaging to your domain. Be sure to keep Google Alerts running so you can be notified of when these happen. Spam Annotations is essentially the strategy where someone will try to associate your brand with a spammy marketing campaign as many times as possible. This often times happens in the form of mass email blasts. The result can end your site being listed by the major browsers as a "phishing" site which means all people who try to visit your site get a big red page warning before ever being allowed to land on your page. The resulting SEO effects are catastrophic. You'll want to work directly with Google on this one if it ever happens to you. Don't think it can't happen to you. There have been hundreds of cases where this has happened. And remember… the Google account isn't the only way for this to happen. If someone gains access to your server via FTP they can gain control over your GWT ownership of a specific domain. Once in… serious damage can be done. Keep your Google account and your servers uber-secure. Now that you know how you can be attacked, it's time to take security measures to make sure you can mitigate your risks as much as possible. This is extremely important whether you are a large SEO Company trying to help protect your clients, or if you are just trying to better manage your own website. The absolute best way to mitigate all this risk is by building up the exposure and authority of your brand. Branding trumps all. Wikipedia gets negative SEO hits around the clock. Do they get affected by it? No. Why? Because they're Wikipedia. That's why. This article was written by Nicole. She has been writing about SEO for years, and enjoys helping people understand all aspects about SEO and Internet Marketing.